E-Mail Questions at: perrypmmccray@pi8.com . 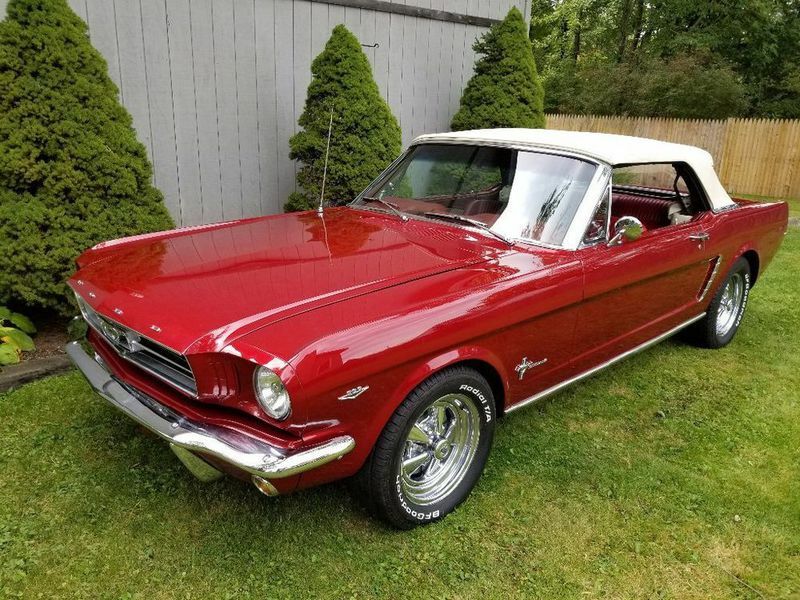 For Sale A Beautiful 1965 Ford Mustang Convertible! This Mustang was completely Rotisserie restored, rebuilt and upgraded in 2012. Since then it has been gently used for pleasure, with only 3800 miles on the odometer. Body is straight, with nice even fitting gaps all the way around the car. 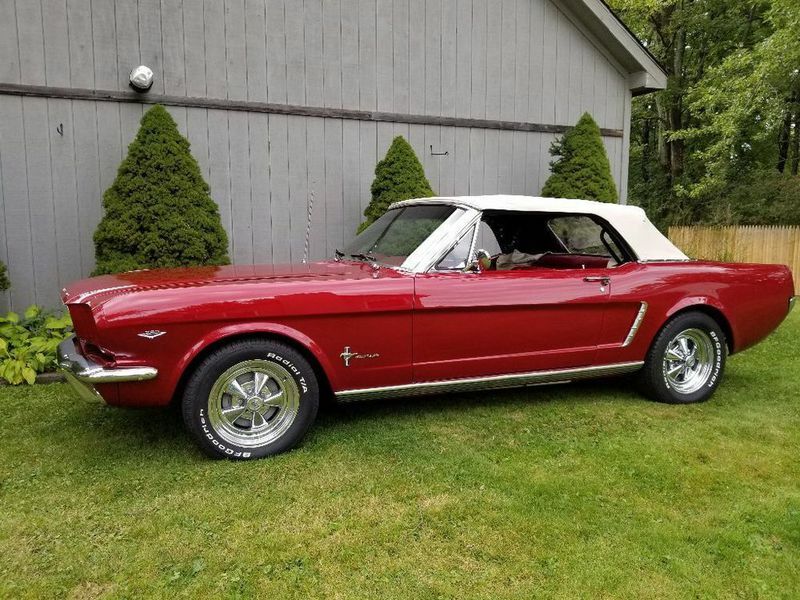 Doors, hood , and trunk, open and close easily. The finish on the car is basecoat/clearcoat Toronado Red and is Beautiful! The underside is finished in gloss black as is the engine bay. All chrome and emblems show as new on the car. Interior was all new when restored from the carpet on up to the beautiful two tone Pony upholstery. Convertible top is power and includes matching boot. Trunk is upholstered to match interior. The engine is a freshly built, 302 cu.in. that has been stroked to 347 cu.in. It has been fitted with high performance aluminum heads, and is balanced and blueprinted. Chrome headers, run into a Magniflow dual exhaust system. A Holley four barrel sits on a polished aluminum Edelbrock intake manifold. Ignition is supplied by a MSD coil and Distributor. A C4, 3 speed transmission was built using Kevlar clutches. And a Ford 8.8 inch rear end with 300 posi gears put all the power on the ground.